Depending where you live, the depths of winter can take a toll. The days are still short and brutishly cold. The holidays are long gone and the spring is still far from being sprung. 1. Battle the wintertime blues with exercise and food supplements. According to an article at Sun Life Financial’s Brighter Life blog, Seasonal Affective Disorder (SAD) affects 2% of Canadians, and another 3-5% suffer from a milder form. Dietary changes, such as eating more omega 3 oils and vitamin D, along with exercise are suggested to ward off the winter sadness. Vigorous walks works for me. Read more: Weathering the Winter Blues. 2. Be kinder and more awesome to others every day. YouTube sensation Kid President (Robby Novak) has an infectious way of inspiring happiness and goodwill, with his simple mission to “make the internet better”. #21: If you see spinach (or anything else) in somebody’s teeth, tell them but only after you’ve told them something embarrassing about yourself. #58: Be like cheese (or bacon) and make everything you touch better. #35: Ask people if they remember being a kid. 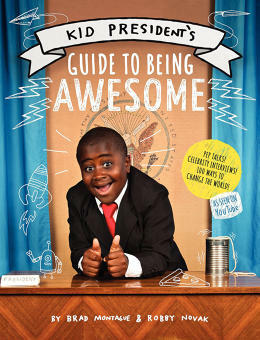 Read more: 5 Tips for Being More Awesome from Kid President and Rainn Wilson. 3. Work-life balance is so 2014. Strive for work-life integration in 2015. The key to achieving happiness and quality of life may be to give up the quest for work-life balance completely – and instead aim for integration. When we are happy about the time we are spending with our families and eating well and exercising, then we think clearer, feel more energized and do better work. Of course, there are times when conflicts arise between work and living life, so balance still has a role to play. But don’t get stuck in the balancing act. Read more: How to Master Work-Life Integration. 4. Move your body more to avoid your “desk sentence”. Whether you’re working at a desk, driving from place to place, or relaxing in front of a screen, chances are you spend a good part of your day sitting down. This can lead to posture problems as well as some very serious health issues linked to a sedentary lifestyle. Nikki Naab-Levy comes to the rescue with five ways to reduce these harmful effects, which really come down to MOVE MORE. Get up and walk around. Stop staring at the screen. Hit the floor and do 10 pushups. Take the dog for a walk. Stretch. Breath deeply. Read more: 5 Ways to Beat Your Desk Sentence. 5. Take small, meaningful steps to change. When you feel too busy to tackle bucket list items or more substantial goals, you can still fit in things to improve your life. Eric Barker of Barking up the Wrong Tree takes a common source of stress, frustration and distraction (email) and turns it into a quick and simple way to make your life better. He suggests sending five emails that will impact your happiness, job, growth, friendship and career. Stop procrastinating and just read the post. Read more: How To Make Your Life Better By Sending Five Simple Emails. Hey, if you liked any of these articles, why don’t you share them in your networks?